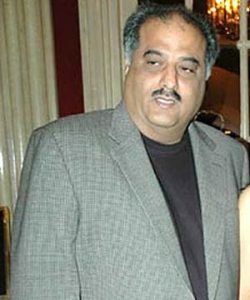 Producer Boney Kapoor is right now recuperating at Nanavati hospital after complaints of acute backache especially lower back. He was hospitalized [15th march] and is awaiting an MRI scan. The scan couldn’t be performed yesterday as the producer couldn’t stand properly owing to his backache. He was given painkillers today and was performed an MRi scan. Boney was undergoing Physiotherapy previously but as his condition got worse he was rushed to Nanavati. His wife, actress Sridevi hasn’t left Boney’s side and is with him since yesterday. Anil Kapoor is also with his brother in the hospital.